Fastcall - Ready to try Fastcall in Salesforce Lightning Experience? 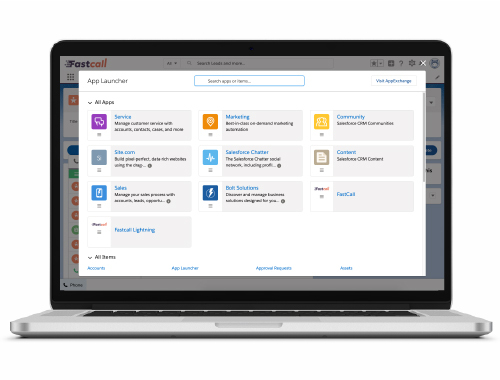 READY TO TRY FASTCALL IN SALESFORCE’S LIGHTNING EXPERIENCE? In Fastcall Version 4.0 (May 2017) we introduced a new widget interface specifically to support Fastcall in Salesforce Lightning Experience. 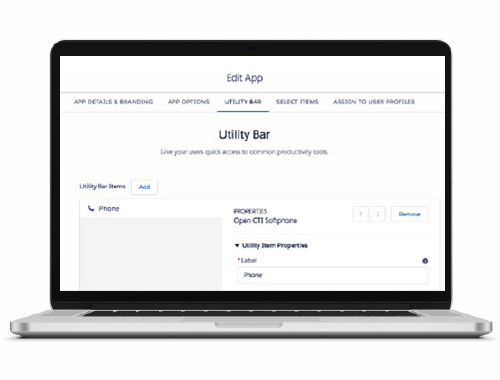 The Salesforce Lightning experience brings a modern, efﬁcient user experience. The goal is to surface relevant information, streamlining processes and making workﬂows more efﬁcient. Salesforce deﬁnes Lightning Experience as the future of customer relationship management. The goal of Fastcall – of course – is to help your reps sell faster and smarter. We deliver an intuitive, uniﬁed, phone sales experience. And when working in the Lightning Experience, sales reps now have everything needed to sell faster – by phone – all on one screen. WE DO NOT WANT YOUR USERS DIALING PHONE NUMBERS AND LOGGING CALLS ALL DAY LONG. LOG YOUR CALL RESULT, TASK PICK LISTS, NOTES, CASES OPPORTUNITIES AND MORE - ALL WITHIN THE FASTCALL OPEN CTI APP IN LIGHTNING. 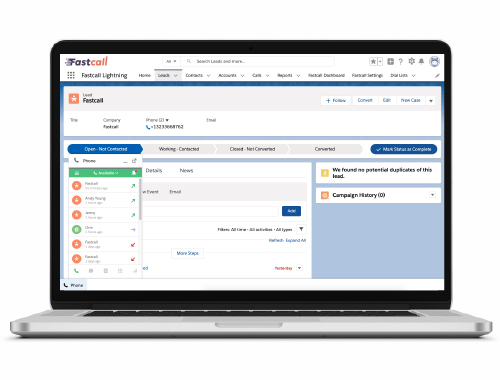 In the Fastcall Lightning app - when making outbound calls - users will drop voicemails, dial by list, transfer calls, control outbound caller ID and more. Callers may use the Fastcall softphone, an existing hard phone or SIP. For inbound calls, Fastcall searches Salesforce for a matching record by caller ID. Inbound calls can route to single users or groups of users. Calls can be answered by a greeting, with an optional menu to transfer calls. Callers can search a directory of users. Fastcall supports time of day, and day of week routing and more. You may know that Fastcall uses Salesforce Open CTI, as such the placement of Fastcall on the page is controlled by Salesforce. In Classic Fastcall is in the left sidebar at the top. In Console is in the right footer. In Lightning all Open CTI apps will be in the left footer. Fastcall includes a Lightning application in the package. This is found in your Lightning app launcher. You can work in the Fastcall lightning application, or you can add Fastcall to any other Lightning application in your launcher. In order to add Fastcall to another Lightning app go to Setup, Platform Tools, Apps, then App Manager. Find the Lightning app you want to edit then using the option on the far right, go to edit mode. In edit mode, you will see option at the top of the pop-up dialog. Use Utility Bar to add the Fastcall phone to the Lightning app. ONE OF THE BEST ADVANTAGES OF USING FASTCALL IN LIGHTNING IS THAT YOU CAN NAVIGATE DIFFERENT PAGES, AND EDIT YOUR PAGES WHILE THE SOFTPHONE NAVIGATES WITH YOU.